DB2 pureXML is IBM software for management of XML data that eliminates much of the work typically involved in the management of XML data.The OpenDocument Format (ODF) is an open international standard for office texts, presentations and spreadsheets that is very simple to process or generate automatically. This page is a short synthesis of an article published in September 2010 by N. Subrahmanyam, Using DB2 pureXML and ODF Spreadsheets, to give an idea (see my comments at the end) of how flexible ODF scripting is. 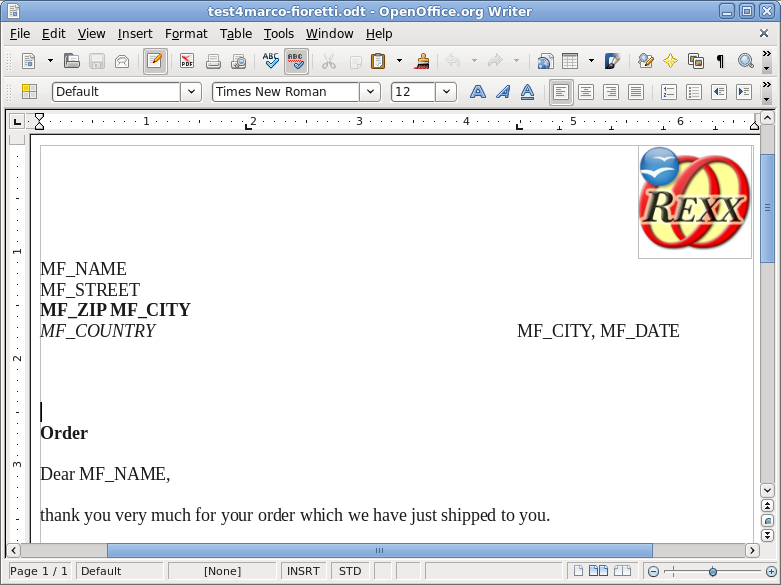 Please read the original full article to know how to actually generate ODF documents from DB2 pureXML files. After my talk about ODF scripting at OOoCon 2010 I got,by another OOoCon speaker, Rony G. Flatscher another script for automatic generation of OpenDocument invoices, or any other ODF text with a fixed structure. The OpenOffice.org conference celebrating the tenth birthday of OpenOffice.org started in Budapest yesterday morning. Here are some first notes from the field. Slideshows are extremely popular as presentation and educational tools, but have a couple of serious problems. The first is readability: let’s admit it, many slideshows are almost unusable. One of the secrets to useful slideshows is terseness. Each slide should contain only a few short points or pictures which summarize the key concepts you want to transmit to the audience with that part of your talk. Sooner or later, many of us need to process some numeric data in plain text format, be they system logs or sales totals, and to generate reports and charts out of those data. Scripts and utilities like gnuplot could be very useful in such cases, except when the results needs to be a normal spreadsheets with charts and formulas, which is both editable and compatible with people who only know how to deal with spreadsheets in office suites.